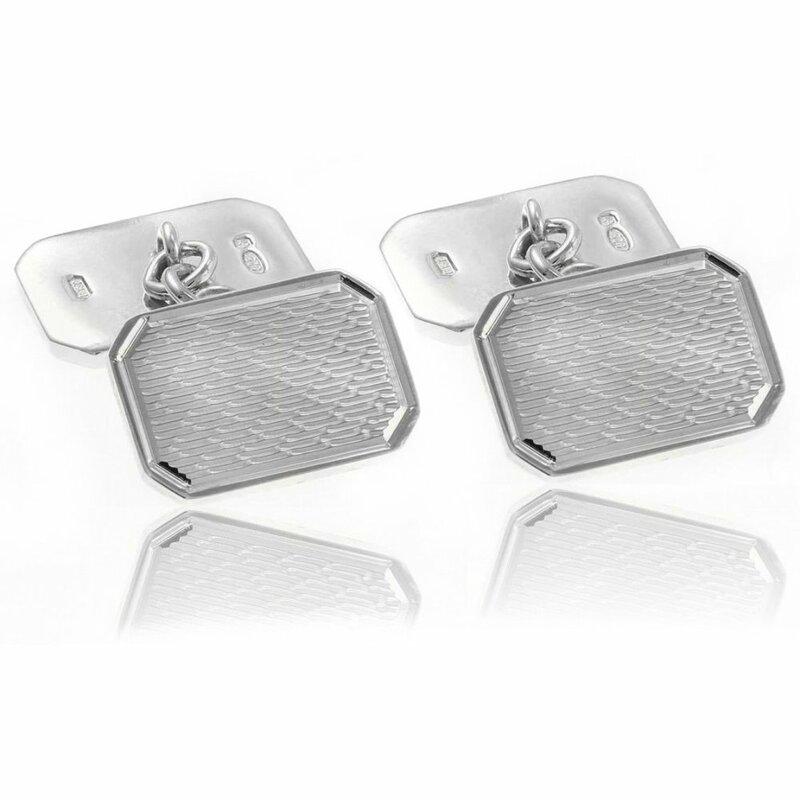 These classic silver cufflinks are perfect for any occasion to dress up and impress. They are octaongal shaped with a linded edge. This is finished off perfectly with a foxtail design on one side and plain on the other.